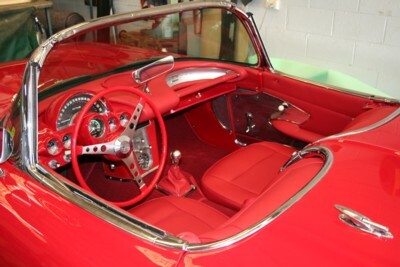 1961 Corvette full loop pile carpet set plus seats done in Pana vinyl with welded seams. 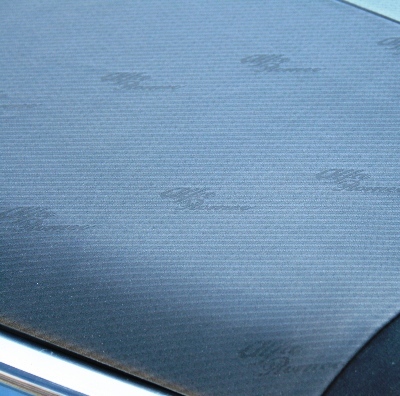 Original material for Voisin Restoration project. 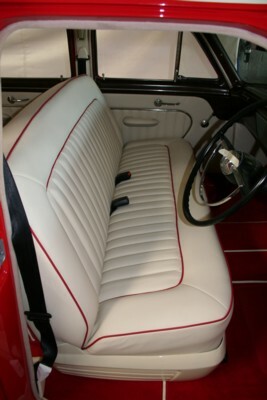 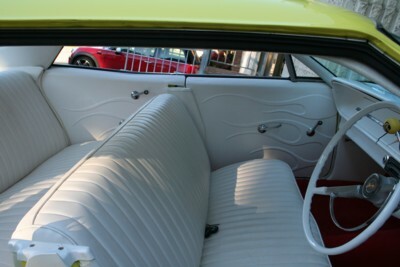 Full Restoration of a Ford Customline using Mercedes Velour Carpet, and Pana Leather on the seats. 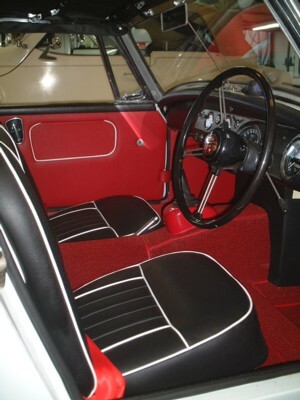 MG Midget Full interior restoration, using Loop Pile carpet, Porsche vinyl on the seats and doors. 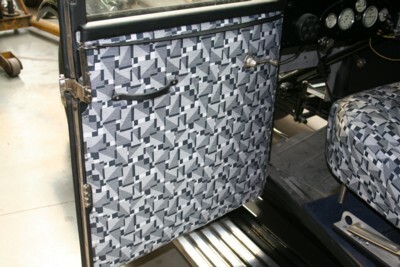 Mercedes Benz 280SL carpet kit using Mercedes Square Weave Carpet. 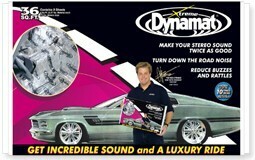 Extreme Dynamat Bulk Pack, we recommend the use of Dynamat in any restoration or build to improve the vehicles interior noise levels as well as effectively building a barrier against heat. 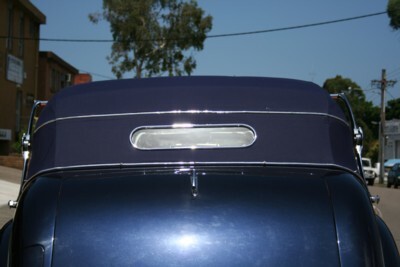 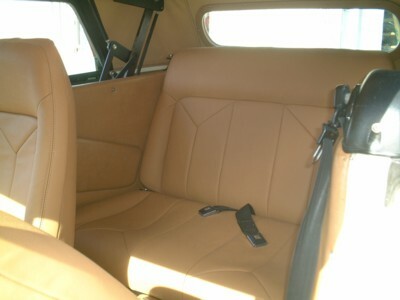 Rear seat of an Excalibur retrim including carpet, new hood and seats. 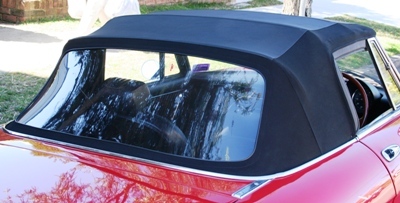 View of completed Excalibur hood using English Everflex Hooding. 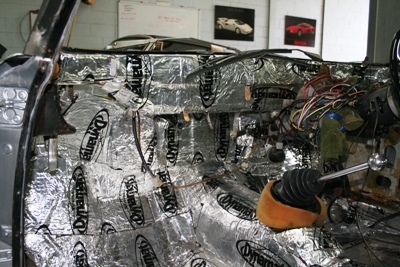 Sonnenland Hooding used on Mark 5 Jaguar. 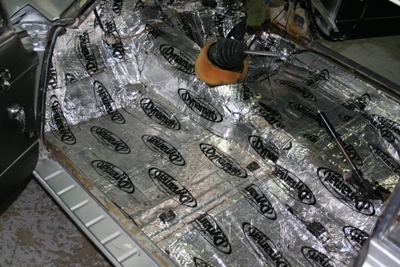 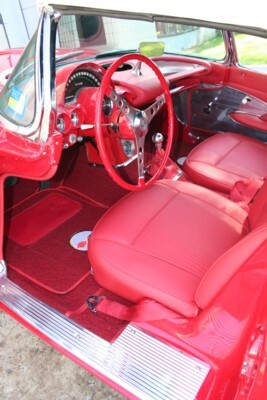 Classic Vinyl used in 65 Chevy Impala also used in retrim was Mercedes Benz Velour Carpet. 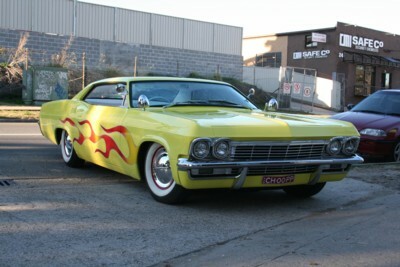 Exterior Shot of 65 Chevy Impala. 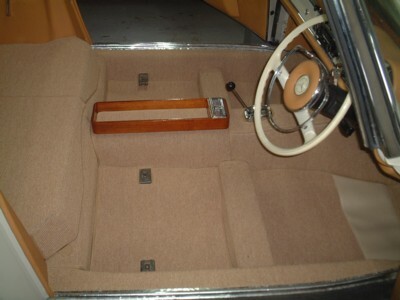 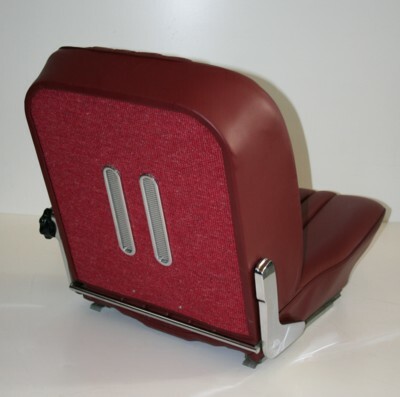 Rear view of 280 SL seat using German Square Weave carpet on the backs. 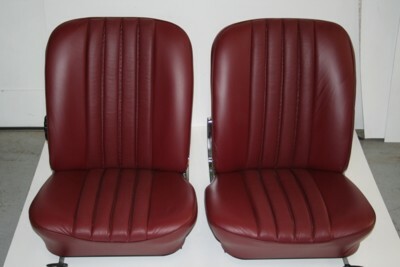 Fully restored 280 SL Pagoda seats. 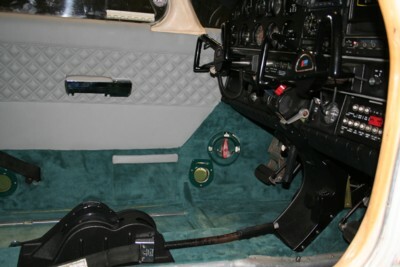 Frame up restoration including powder coated frames, individually inserted flutes. 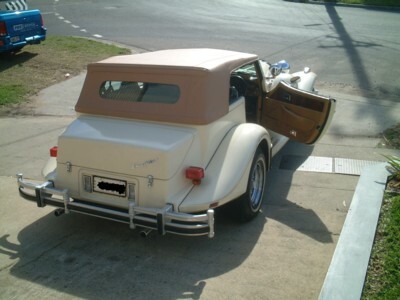 Matching Original leather used.